Owning a home can be expensive, and being able to do little jobs around the house yourself will save you a lot of money. There are some basic tools that every homeowner should own, whatever their skill level. The list of needed tools could be endless, but we have put a list together for you of the top 25 we think everyone should have. 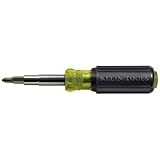 Screwdrivers are some of the most frequently used tools in any home. They are used for everything from putting together a piece of furniture, to removing light switch covers or tightening the knob on the kitchen cabinet door. Every tool needs a certain size and style of screwdriver, so get an assortment that includes various sizes of flat-head and Phillips head screwdrivers. Flat-heads obviously have flat blades, where the Phillips tip is star-shaped. A tape measure is a hand-sized tool that has a retractable metal reel with measurement markings on it. It is a must-have in every home when you need to measure windows for curtains, how high to hang a picture, or whether a certain couch will fit in that perfect spot in your living room. Make sure that you get one that is at least 25 feet in case you have to measure the square footage of a room or the length of some long piece of wood you are working with. There is also a locking feature on tape measures that will lock the tape out at a certain place, to aid in measuring longer projects. A claw hammer has a long handle with a head on one end. That head has two sides. One side of the head is flat for pounding; the other side has a V-shaped claw used to pull nails out of any surface, without causing any damage to that surface. The best place to hold a claw hammer, when pounding, is where your hand is the farthest away from the head. This allows the weight of the hammer to do the pounding, so you don’t have to put as much effort into it and your arm will last longer before tiring. There are several different kinds of pliers that are handy to have in the home. Great to get into tight spaces where fingers just don’t fit. These are pliers with adjustable heads that lock into the place that you need them to be. They are commonly used together when you need two pliers of the same size at the same time to hold a nut steady while you unscrew it from the other side. Used to strip and cut wires. Utility knives can be used for just about anything. A few examples are cutting open boxes, cutting dried glue off the tops of glue bottles, scoring glass where you want to break it, or removing old caulk from in between tiles. The beauty of a utility knife is that the blade is stored inside the knife casing when not in use, so there is no chance of accidentally getting cut. Flashlights are necessary for finding your way around in the dark. Don’t get caught without one the next time your power goes out. They only work if they have the power, though. Keep fresh batteries in yours or keep your rechargeable one plugged in. There are two types of wrenches that you will use. Combination wrenches have two different ends on them. One end is an open U shape, while the other is a closed circle. A nut or bolt fits into the circle end to hold something tight, while the open end slides over them to tighten or loosen them up. Having one side open allows the wrench to be removed from the nut easily and repositioned. Nuts and bolts come in different sizes, so be sure to get an assorted-size set. Adjustable wrenches can be a bit awkward to use because they are bulkier than combination wrenches. The nice thing about them is that one wrench will adjust to fit many different sizes. If you don’t have the money for both kinds of wrenches, go with the crescent wrench. A couple of different sizes will cover just about anything. When using any kind of wrench, always pull the wrench towards you to have the most leverage. Pulling towards you gives you much more control over the wrench than pushing it does. When you need extra leverage to loosen a stuck nut, use a longer-handled wrench with your hand placed on the far end. Use the shorter-handled wrenches in tight spaces. You can never have enough extension cords. They come in handy to plug in anything that is a little farther from your outlet than you have of cord on your item. Smaller ones are fine for indoors, but you should have at least one heavy-duty one for outside use. Some people would say that duct tape isn’t a tool, but we disagree. This tape is super sticky and will stick to anything. It is made out of a thick woven material that is heavy-duty, but it tears easily. There is almost nothing that duct tape won’t fix, at least temporarily. A pry bar is a long piece of heavy-duty metal with one flat end and one curved end. They both have V-shaped claws to help pull difficult items out of hard materials. You also never know when you are going to need something hard and heavy for getting something open, like a stuck door. A putty knife is a straight-bladed tool that can be used to apply drywall mud, fill cracks, or even scrape dry, cracked paint off old furniture. This is a handy tool that you will find all kinds of uses for. A level is a long, straight tool that has little glass areas filled with liquid and an air bubble. The bubble moves back and forth as you lift or lower one end. Your item is level when the bubble is in the center of the glass area. A level is a must-have in homes for hanging pictures, installing cabinets or countertops, or laying a brick patio. The metal ones are nicer than plastic because they are more durable and will last longer. You should have at least one hand saw in your home. We recommend a hacksaw because it is a good multi-purpose saw. It will cut through wood, PVC pipes, metal pipes, plastic tubing, conduit, brackets, and much more. Allen wrenches are small L-shaped tools that are a hexagon shape. They are used on bolts and screws that have a hexagon head. Though not too many things use Allen wrenches, they are handy to have for when you need one. Make sure that you always put them in the same spot, though, as they are small and easy to lose. When you are hanging heavier items on your walls, you need to make sure that your nail goes into a stud, giving it more support. The best way to find a stud is by moving a stud finder along your wall. A lot of people try to find them by knocking on the wall until it doesn’t sound hollow any more. Though this can work, it isn’t very efficient and you may end up with several nail holes. A square is a long L-shaped metal tool that has straight sides and a 90° angle. You use it for things like building cabinets to make sure that your corners are perfectly square. It can also be used to make a straight line on wood before you cut it. Sockets are used whenever you are working with nuts and bolts. They help to make sure that you get them tight to secure whatever you are putting together. Get a set that includes several different sizes of sockets and a ratcheting socket wrench. Ratcheting means that you can move the handle to continue tightening, or loosening, your bolt without taking the socket off and moving it each time. You never know when you will need to hold something securely in place to cut it, grind it down, or hold it in place until glue dries. That is where c-clamps come in handy for being your third hand. Wire cutters are great for stripping and cutting wires, trimming off nails, or putting up a barbed-wire fence. Side cutters are good for smaller jobs, but if you are going to be doing a lot of heavier work, like trimming off nails, get the top cutters. They are stronger. Caulk is the substance used to seal up cracks and gaps in things, like a crack in the wall, a leaky window, or a pipe that needs sealing off. It is also what is used in the cracks between ceramic tile to hold it in place. The caulk gun is a tool that holds the container your caulk is in. You can apply it easily by pushing on the handle. You always need ladders to get to high places. They come in handy for things like painting ceilings or getting onto your roof. Extension ladders are nice because you can adjust them to be whatever height you need. A sawhorse is an A-shaped frame that is used to support large items. It can hold full sheets of plywood to make them more stable when cutting them down, or when using them as a table at a garage sale. Wheelbarrows are great in the spring when you’re picking up sticks in your yard or putting out mulch. It is much easier, and more efficient, to throw things in a wheelbarrow and make one trip than it is to make multiple trips with just what you can carry in your hands. Keep your work near you. There is always a need for a shovel when you have a yard. You use it to dig holes or move material, such as mulch, from one place to another. This list could go on and on. Know what kind of work you will be doing around your home to have the right tools on hand when you need them. These are just the tools that we think are the most important for those who do a little bit of everything.